When Fear Rules The Day The Terrorist Win! 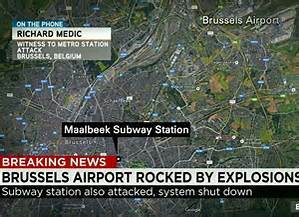 Sad, but it appears much of Europe has again been "locked-down," I tend to think both authorities and the media seem to love a good crisis. Truth be told there is no doubt that terrorists will kill innocent civilians in the years to come. This is not new and has been going on for more than 100 years, historically these people were called anarchists. While a responsible nation-state must take reasonable measures to protect its citizens, the truth is, there is no way to completely eliminate terrorism. The challenge that confronts us is how we will live with that threat. Groups like ISIS and Al Qaeda thrive on this fear. The bitter reality is countries have used this threat to create an economy of fear, an industry of fear, a national psychology of fear, far beyond what anyone might or could expect. Because of fear we have built and inflicted on ourselves a massive and expensive industry geared to strip us of our liberties. A rash of terrorist attacks across the world have been used to justify and confirm to many Americans that threats remain and no price is too much to pay in an effort to protect American lives. I caution those who think surrendering privacy and removing our freedoms is the answer, and state we should not overreact. In the later part of 2013 I penned an article titled, "A terrorist Under Every Bed." where I noted that a gender gap had interestingly emerged as to how people see the government’s anti-terrorism programs. It appears men are more inclined to think the government has gone too far, it also seems that younger voters, those in their twenties are appalled by the intrusions into our privacy. These feelings seemed to extend as to how many Americans have begun to view Snowden as more of a whistle-blower alerting America to domestic spy operations rather then as a traitor as the White House and National Security officials contend. Also interesting is the shift among Republicans who say government has gone overboard in restricting civil liberties in the so called fight against terrorism. When you join this group with far left Democrats that are antiwar and adverse to the fascist tendencies of government with Libertarians who want "less government" the number of people opposed to these programs grows quite sizable. Going forward an issue that should become the focus or at least included in this debate is the actual dollar cost of these programs and whether the money can be better spent. This question so far has been grossly ignored because of an obsession based on fear. At the risk of sounding unfeeling and unsympathetic to the victims and their families I must point out it is the 27-7 news coverage and high media ratings that can surround even a small attack that drives and motivates terrorist. It should be noted politicians often relish national exposure and a moment in the spotlight. Even the mayor of a city instantly becomes the "savior in chief" when standing before the cameras with a dozen officials standing behind them dressed in bulletproof vests looking grim. Call me naive, but I think people are basically reasonable or even good and as someone living in a medium sized city in the Midwest terrorism rates far below my concern over the occasional tornadoes that pass through the area. Even when traveling through Europe the fear of transportation shutting down as a result of an attack looms as more of a danger than being hurt in an incident. Below is part of, and EXCERPTS from an opinion piece written by Ted Koppel, it was printed in the WSJ in 2013. The article was titled; America's Chronic Overreaction To Terrorism, I have dropped away parts of the original printing and simplified it where I could. It should be noted that many of the comments I viewed concerning this article talked about how Koppel was acting as a mouth piece for the Obama administration and his views represent the left thus leaving America open to harm. This is somewhat ironic in that Obama by his actions has shown that he is in no hurry to halt NSA and similar surveillance programs that intrude on the privacy of American citizens. We now see the formation of a rather bizarre alliance to end the program joining the far left that often calls for more government action and social programs with Libertarians that want less government. I must say I find myself agreeing with Mr. Koppel who is a special correspondent for NBC News and an analyst for NPR. Terrorism, is designed to produce overreaction. It is the means by which the weak induce the powerful to inflict damage upon themselves—and al Qaeda and groups like it are surely counting on that as the centerpiece of their strategy. It appears to be working. Right now, 19 American embassies and a number of consulates and smaller diplomatic outposts were closed for the week due to the perceived threat of attacks against U.S. targets. Meantime, the U.S. has launched drone strikes on al Qaeda fighters in Yemen. At home, the U.S. has constructed an anti-terrorism enterprise so immense, so costly and so inexorably interwoven with the defense establishment, police and intelligence agencies, communications systems, and with social media, travel networks and their attendant security apparatus, that the idea of downsizing, let alone disbanding such a construct, is an exercise in futility. The Sunday TV talk shows this past weekend resonated with the rare sound of partisan agreement: The intercepted "chatter" between al Qaeda leader Ayman al Zawahiri and the leader of al Qaeda in the Arabian Peninsula was sufficiently ominous that few questions have been raised about the government's decision to close its embassies. 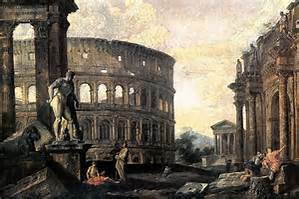 The coming Presidential election and our polarized country has caused me to reflect on the decline or collapse of great empires. When thinking about the decline or collapse of major powers we quickly realize that it is oftentimes hard to predict when or how their demise will occur. Decline and collapse can be sudden or slow. Truth be told the timing of when power is about to shift is always hard to correctly gauge. Even when signs of decline or an approaching "tipping point" are everywhere that does not guarantee the end is near. History shows that as the foundation crumbles away it is not uncommon for those in power to extend their rule by using various tricks. Often those in power simply go about changing the rules in a way that gives them a new lease on life. In our world of instant communication, it should be assumed that many factors are able to accelerate the process of decline. Sometimes a system morphs or evolves towards its end and in other cases, a single event acts as a catalyst to bring a system to its knees. One clear sign a country is developing problems is when political polarization grows and social discourse becomes outwardly hostile. When we see this coupled with economic decline and a spike in inequality the possibility of a shakeup is magnified. The economic crisis that gripped the world in 2008 provides an excellent example of postponing what appears preordained. Central Banks across the world joined with politicians to pull rabbits out of their hats and used unprecedented actions to halt the collapse of the system. However, after years of deficit spending and slow growth, we are forced to ask if they only delayed the last scene of a bad play by creating an extend and pretend scenario? That may depend on other actions taken over time to repair and set right many of the problems and issues that plagued our country. Post-2008 we bought time to change our evil ways such as spending money we didn't have and dealing with growing debt loads and unfunded promises, but in truth, we have squandered both time and money while failing to address our many structural problems. In this election, a big issue is the huge growth in inequality and this has manifested itself in a backlash against establishment candidates. Bernie Sanders on the left and Donald Trump on the right call attention to this problem. Those who look closely understand that it is not the 1% at the top stealing the icing off the cake, but the much smaller .1% or .01% that are skewing the numbers and overreaching. This display of anger goes hand in hand with the massive growth in crony capitalism and corruption. Much of this can be attributed to the ability of those in control "changing the rules" and positioning themselves to benefit at every corner. Those in power have taken advantage of our busy and complex world where people now find it impossible to watch all the moving parts of the massive government that promised so much. What might be called the "Deep State" definitely exists and it often works in plain sight and not how it is depicted in the movies. It is not a complex conspiracy but the gut of a system laced with ever growing corruption and relaxed morals. It is very possible human beings are generally too incompetent, lazy and inept to carry out complex schemes on a grand scale. People have proven again and again to be bad at keeping secrets and insider knowledge is almost always passed around, even in secretive organizations this is done in a reckless manner. Doling out secrets and insider information confers status, tactical advantage, and sometimes even financial gain. Corruption and crony capitalism are cancers on society that continue to grow if not constantly addressed with harsh measures. Empires and successful endeavors are built on strength and a sound financial foundation. This can erode very quickly in a fast changing world. Debt is an often no more than a glorified IOU and we must try to remember that bills can go unpaid and promises left unfulfilled. Faith is the glue that holds this all together. Most likely the economy won't fall apart or collapse today and when it does a new economy will rise from the ashes. However, if and when such an event occurs the question remains as to when and what the new rules will be. What happens when the momentum ends? The whole concept of economic growth is based on an ever growing trend of year over year increased production. We must remember the influx of monetary stimulus from QE and massive government deficit spending has created the illusion of more pent-up demand then exist or can be substantiated. By removing the incentive for people to save and encouraging risk we have eroded the quality of economic growth. In the long-term, this results in an elevated baseline for comparing year on year growth, in short, we have to move forward faster in each coming year just to keep growing. All this underlines that we are living in "interesting times" while playing havoc with the value of things and what they are worth. Like some of the cruel games children play you don't want to find yourself without a chair or holding the "hot potato" when the game ends. Many polls have indicated for years that a majority of Americans feel the country is moving down the wrong path. This does not bode well if the current election speeds us along in the same general direction in which we are traveling. Recent news clips showing unrest, protest, and violence at political gatherings is an indication of growing friction between factions in a divided nation. Indications from the White House and statements from President Obama that he will further involve himself in the Republican race coupled with comments to halt Trump's advance only increases the angst. The widening divide created by pitting one American against another and continued games of class warfare come at a great price. One thing is crystal clear, few Americans are busy bragging about the state of our union. The term "the new normal" has not been used much as of late, but it has become the reality we face. The reference was created to describe an economy forever mired in slow growth. Investors and the public are beginning to realize that central banks can only do so much through printing money and lowering interest rates. These actions carry with them some very strong and nasty side effects that have taken hold in our economy. This includes capital being poorly allocated and markets being distorted by money flowing into risky assets in search of higher yields. The puzzle we now face is how this will play out going forward and what constitutes a reasonable expectation for future growth. Over the last few years we have witnessed many companies cut their work force or rotate and replace higher paid workers with lower paid employees. We have also seen production continuing to be outsourced to offshore factories to increase profits. Many companies have seen profits grow as sales have remained relatively flat. In some cases where margins have been squeezed stock buybacks and cost cutting have been the only driver of higher profits. This has occurred as sales have been propelled forward by cheap money rather than by real or pent up demand. Few people have realized that record government deficits are also a driver propping up spending and America's GDP during the last several years. Slow Growth And Growing Debt! America continues to spend nearly $2,500 more than it takes in each year per man woman and child, such deficits were unheard of in the past unless it was during a major war. Deficit spending has been accomplished by borrowing money that will become a long term drag on the economy going forward. To make matters worse much of this money has been poorly spent, it was to be used to buy us time in which to address many of the structural problems that plague our economic future. Unfortunately, this has not been done, instead government has fiddled away the time in deadlock. Even the tailwind of lower energy cost through the massive expansion of oil and natural gas supplies has not been enough to move the economy forward. Much of what we have seen should be considered a one off that is behind us. Bottom-line all this trickles down to job growth, and it could be argued this is nothing to brag about because the jobs being created are not "quality" jobs. Details of the last job report touted as proof of an economic resurgence indicate the job market is a lot weaker than the headline number leads us to believe. Of the 242,000 jobs added, 304,000 of them were part time. This means the economy in reality shed around 62,000 full-time jobs. We also saw average weekly hours of all private employees fall 0.2 hours to 34.4 and a decline in average weekly hours in the manufacturing sector as well by 0.2 to 40.2 hours at the same time hourly wages continue to stagnate. The deflationary effects of increased supplies in my opinion are largely behind us, prices are already beginning to rise. What we should expect going forward is very slow growth as QE comes to an end and the government at some point becomes forced to deal with runaway spending. The reality is our America's future cannot be sustained on just the exports of Boeing aircraft, the manufacture of some kind of computer tablet, or internet usage. We need to look at more substantial and broader based benchmarks. 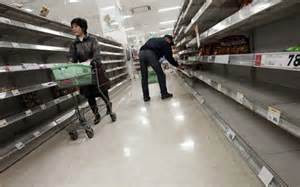 At the same time it is not realistic to think the American consumer can continue to support exporting countries like China and Japan by racking up a 600 billion trade deficit year after year. A strong case can be made that the economy is about to encounter strong headwinds as the burden of past debts and future promises made to those retiring and unable to find good jobs begin to weigh heavily upon society. Recent protest and outburst in countries like Brazil, Turkey, and throughout Europe may get worse. Tensions have become elevated in many parts of the world as ISIS and a flood of refugees flee war-torn areas. We cannot rule out the possibility of a major war, it is clear the world is rapidly changing and nobody has a crystal ball that will predict how this will all play out, but one thing is certain, and that is storm clouds do exist. This leaves the possibility at anytime the markets could morph into a "realizing market" that grinds slowly downward or that at some point the wisdom of buying every pullback changes and the market simply drops like a stone. Speculation based on mere hope is not a solution to our complex problems, long term planning is in short supply. Silly talk about the fact that the deficit is beginning to shrink is like saying it is now safe to jump into the water because in is no longer as deep as it was ignores reality, the depth has dropped to ten feet after being at twelve. How America and countries across the world react to the stress that comes from slow economic growth and how it will effect our budget and culture as the long term cost burden of carrying the unemployed builds has yet to be determined. However, the logic and motives of those forecasting a bright and robust economy need to be scrutinized. To say the massive protest that postponed Donald Trump's political rally in Chicago occurred only in reaction to statements made by him gives the Republican front runner a bit too much credit. If the cake being served had been made by Trump it would be fair to say it was stirred by anti-Trump forces within and outside the Republican party. 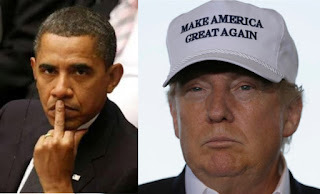 Obama even stepped into the fray icing the same cake with several over the top and unnecessary statements during the last several days, yes it is fair to say he did his share to incite and egg-on the anti-Trump forces. Obama did his share to create an environment where the protesters went to this rally with the intent to disrupt and interfere with Trumps right to free speech. Jokes and supposedly off the cuff remarks as well as what looked like a comedy skit by the President have been repeatedly broadcast by the media and further polarized our divided nation. His statements repeatedly broadcast across the airwaves are as much to blame for what happened in his hometown of Chicago as many of the statements being made by Trump. To say America has a flawed election process is an understatement. It often results in not putting the best qualified choice in a position to move on While everyone is quick to concede that we started with a huge number of contestants it is ironic we have winnowed the group down to the undesirable few we see today. We have heard time and time again claims that certain candidates have already disqualified themselves because of this or that. In one of the Presidential debates Donald Trump said he didn't have time to be politically correct. A firewall to retard Trumps progress based on the fact he is not always politically correct has begun to morph into one of racism. Many of the statements made by Trump are pulled out of context and spun in ways that make him into a cad, a bigot, an opportunist, this is not by accident and it sure doesn't help when the candidate most supported by the party establishment repeatedly calls him a con man. The rupture in the Republican party gives me an uneasy feeling that Hillary Clinton could end up as the next President providing she can keep out of jail. Years ago, when I wore three piece suits, attending fundraisers and high price dinners, I found much of the mainstream Republican conservative social mores difficult to stomach. What I and many people that voted Republican hoped for was simply less government and less spending, this extends to the issue of war. Watching the Fox News GOP debate in Detroit on March 3rd brought forth wave after wave of disgust. It is difficult to say whether the network moderators or the candidates made a worse impression. Between softball questions, grandstanding, and straight out lies topped off with fear mongering in order to justify spending more on weapons and the military. In a country already politically polarized it is not surprising to see strong reactions from those who feel under pressure or assault and it is not unreasonable they react with annoyance or anger. I'm not writing only about angry old white men, but a lot of women and other people many who are the hard working owners of small businesses that are tired of the growing culture of pandering. Black Republican presidential candidate Dr. Ben Carson may of said it best while appearing on a Sunday morning talk show on August 2nd, he generically referred to too much of this politically correct talk as "silly." I view myself as somewhat socially liberal but I think enough is enough. In this world someone is always going to be offended by something. Part of my personal conflict grows from a more traditional and conservative economic view of how things work and an awareness of who is getting stuck with the bill and the cost related to the direction we move. Following "Super Tuesday" an ugly feeling has developed as the Republican establishment continues to bang away in an effort to maintain control. The big money and the lobbyist that control Washington are making an over the top effort to discredit Trump and this has made many voters mad as hell. In seems the Republican party wants you to vote, but only if you vote for the candidate they choose. The same situation exist on the Democratic side of the race. It has become abundantly clear in the Democratic race that Bernie Sanders would be far ahead of Clinton if it were not for the the African American community voting as a block for Hillary and endorsing her as Obama's heir apparent. To many Americans such voting blocks based solidly on race is a concern. all this begins to take the feel of reverse discrimination casting a barrier around and over the free speech of those who hesitate to march along in lockstep. Life is an interesting journey, long before the suits I sincerely believed and fully embraced many of the socialist ideas expounded by Bernie Sanders but eventually rejected them because it has fatal flaws, it does not work because so many people will not step up to the plate in a responsible way and carry their fair share of the load. However, only when you have, shall we say "walked a mile in another mans shoes" can you understand his point of view. The great thing about Bernie is that he sincerely believes what he says, this is rare among politicians today. Across the polarized divide many Americans agree Bernie is correct that crony capitalism, Wall Street, and Washington have robbed us blind. When all is said and done it appears America is doing well in our political race to the bottom, and if anything our political decent into a bottomless hell is picking up speed. Footnote; On a lighter note, for a bit of inspiration and to be uplifted I suggest a listen to What Made America Famous a song by Harry Chapin. The lyrics paint a vivid picture of the complex social fabric that is the core of our country. Go out and have a great day! One of the greatest skills a person can develop is the ability to negotiate. Life is a giant negotiation where we constantly bargain with people in an effort to reach our goals. Failure to do so generally will result in a person continually being shifted to the least desirable table in a restaurant or not getting fair compensation for their work. This is an area of our lives people often overlook or fail to give enough thought or invest enough time to understand or learn. Let me clearly state negotiating is not simply about the ability to get rich, but much much more. My advice to all is we should never underestimate this skill and the power derived from using it well. We have all heard Donald Trump carrying on about his great abilities and his book "The Art Of The Deal" written in 1987. This book by the business magnate and current front-running Presidential candidate is part memoir and a business advice book that reached #1 on the New York Times. Trump understands both the power of this skill and how to use it in a way to propel himself forward financially as well as socially. Being able to navigate around obstacles to reach a positive objective that works for all parties involved has a great deal of merit and getting a better price when buying or selling an item quickly adds to your bottom-line. The simple truth is that for the average person becoming an astute negotiator is the best way to increase their ability to get what they want. Often people rush to subcontract or outsource this task to others such as a real estate agent or attorney, this is something I suggest you resist, instead improve your own skills. I went to an extensive seminar decades ago that proved one of the best investments I ever made. It highlighted and brought home the importance of negotiating. I consider this so important that I have made an effort to mentor all of those working with me in expanding their ability in this area. Negotiating skills include studying and understanding body language as well as the hidden meanings within conversations. At times it can extend further into grasping true motivation of all parties, the issues behind the issue, or the ability to figure out who really holds the power to broker a deal. We cannot appreciate enough how understanding the fundamentals, psychological skills, strategies, and a structured approach enhances the chance for positive results. 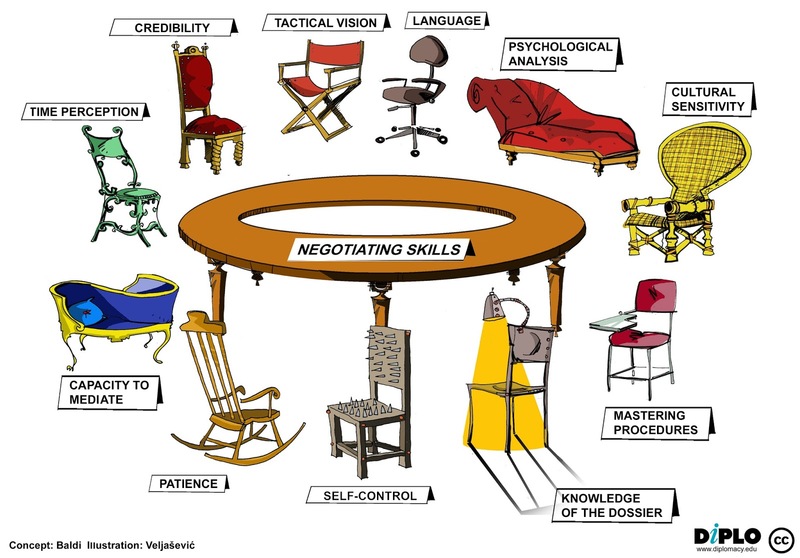 Many negotiating tools and strategies exist, so the more options you bring to the table the better. Some strategies are cultural or seem to be dominate in specific regions of the world. The Chinese and Asian cultures often use a patient and unbending technique that is designed to wear down and frustrate their opposition. 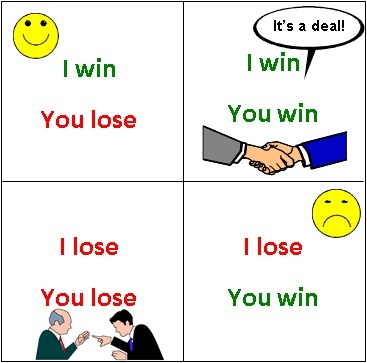 In this game, they seem in no hurry to resolve issues and tend to grind you down, while in Russia the bargaining might be very hard and every possible concession squeezed from a situation before an agreement can be reached. Here in America, we rush to compromise and it is that willingness to be fair that often weakens our position. As a bonus, this skill can also be used for conflict resolution. While writing this piece I referred to the book I had written and I happened to come upon an interesting story about an orange that I had forgotten. In this story, two sisters quarreled over an orange both sisters wanted. The suggestion they could split it in half made neither sister happy. This was because of the failure to realize that one sister wanted the fruit of the orange to eat and the other wanted the peel from the orange for baking. A better option was available, but neither one saw it. People generally assume the differences between two parties create problems but they can also be the solution. Some people may possess a special ability or have a "natural knack" for negotiating, but we must remember this is a skill that can be learned and honed with practice. Like the art of salesmanship or any other skill, it is important that it become part of your arsenal as you navigate life. In a situation where we fall upon hard times, it could become invaluable to both yourself and those you love. We should never underestimate the power of being able to arrive at an outcome that is beneficial and hopefully, at the same time creates an environment of trust putting in place the foundation for future cooperation. The fact is those who master this skill can negotiate their way to success and have the potential to better their life in ways we can only imagine. Footnote; I strongly advise reading a book about negotiating techniques. One really important thing to remember is that not all deals are equal, this means it is extremely important to think a lot about "major" deals. When negotiating an agreement with oversized ramifications or involving a great deal of money, slowing things down and taking your time can improve your outcome. The more experienced the party you are dealing with the more caution you should exercise, as it has been said the devil is in the details. The central banks often claim deflation is the force that permits their QE policy to continue and is central to their ability to stimulate. The moment inflation begins to take root or becomes apparent much of their flexibility in policy is lost. Today those who see inflation in our future are back on their heels and off balance. Many people see falling commodity and stock market problems as proof deflation is at our doorstep and this supposedly removes the possibility that prices might soon soar as a result of the creation of massive amounts of newly printed money. A word of caution, we should not be deceived or led to believe that lower oil and commodity prices will in themselves bring about deflation. Often falling prices in both commodities and goods reflect a lack of demand or temporary supply imbalance that will correct itself. When that happens prices tend to rapidly adjust to what I will call the "new reality of the day". Panic Buying Equals Increased Demand! A keyword in the prior sentence is "rapidly", I recall a piece I wrote years ago titled, "Surprising Facts About Inflation" that detailed the inflation that hit Germany during the 1920s, close examination shows the worst of the inflation hit came over a very short period. I remember thinking at the time how amazing and quickly inflation took root. If a similar scenario were to unfold today it would be prudent to factor in the idea it would happen much faster now that we live in an age of instant communication. In the past, I have put forth the idea that inflation could rule the day even if central banks are unable to keep the wheels on the bus and the economy collapses. This theory also known as stagflation is partially based on or dependent, on which way the dominoes fall. By this I mean which debt goes bad first or is allowed to go bad, this theory also extends into how quickly debt spoils. In a comment, a reader several months ago wrote, ---- It is fairly obvious that not all IOU's are deemed as trustworthy, and as trust drains from this over-indebted system, shakiest issuers' debt will lose value fastest. Junk debt is thus a Hindenburg in search of a spark all its own. Wait until corporations discover how difficult it may be to roll over all this share-buyback debt of the last few years. A key issue in this debate is that not all debt is created equal, while a parent often absolves a loan to their child the bank seldom forgives a loan on an automobile. Sometimes like in the reality game show Survivor it comes down to who is left standing. I contend winning does not always come down to who is the best, strongest, or smartest, but that luck and many other factors also come into play in how things unfold. For example, imagine two widget factories on the hill outside of town and both with the same pricing and quality product but financially weak, if a storm knocks out production at one factory resulting in its closing the other would benefit from inheriting its customers and maybe even able to raise prices. This comes down to the idea of old fashion supply and demand. 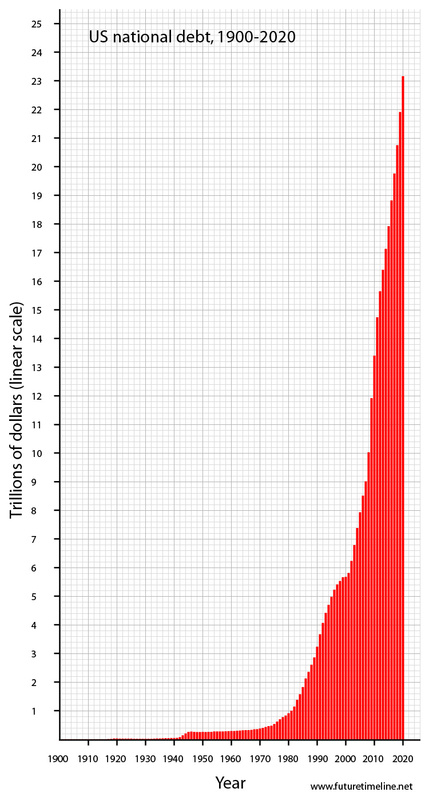 This revolves around the supply of money just as much as it does to the supply of the commodity it is being used to purchase. We are often forced to question the formulas used to compute inflation. The 2% inflation target central banks have deemed optimum or to be the point at which inflation will produce the most favorable and best possible economic result is not grounded in reality or related to the prosperity of Main Street. This is all a convenient cover allowing for the transfer massive power to the world’s central bankers during the last two decades. And it survives only because it serves the interest of the Wall Street elite, the world’s politicians, and fiscal authorities alike. This has allowed those in power to run up endless public debt because the central bankers buy it under QE and drive the cost of carrying debt to virtually nothing. As a bonus, the top 1% of the financial elite cannot get enough of the 2% inflation hoax because it means free carry trade money will remain available. During a recent news conference, ECB Vice President Vítor Constâncio ticked off a litany of reasons why prolonged weak inflation, or sustained falls in prices known as deflation, worries central bankers. This was done to justify the massive stimulus that has been put forth. He noted that falling prices may cause consumers to put off purchases if they expect that trend to continue. As further justification, he noted that official consumer price measures may even overstate the extent of inflation. It is clear central bankers want to persuade households and financial markets that, whatever it's current reading, the inflation rate will be around their target and that inflation expectations are under control. Mr. Draghi warned of a possible “de-anchoring” of expectations if the inflation rate remains low for a long time, and particularly if oil prices fall further. “These risks have gone up and we want to be vigilant,” he said. In all truth, we must be careful not to venture too far down this path that does not reflect honest price discovery or real value. This is important not just today but when these actions filter into the future because when the gap gets too wide an adjustment always takes place. In the world today people have developed a "false' belief in financial security and the idea of "controlled" inflation. 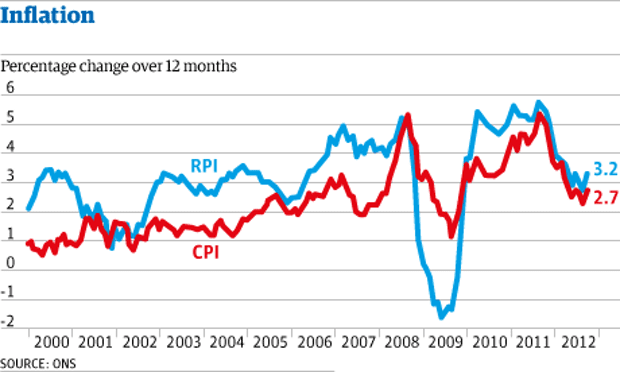 For years inflation has been used as both a political and economic tool. When people look at how much more they are earning now than in the past they realize that if they go into debt it will be easier to pay it off with inflated income. For decades people have been given pay raises to keep up with inflation meaning the vast majority of pay raises have nothing to do with either a person's work or performance. Yet it is still difficult to deny this tends to make a worker feel better that they are worth more. Many people essentially perform the same functions for 30 years; however, their pay grows much greater as time moves on. A great definition or rule about inflation, its effect on the economy, and how it impacts savings came to me long ago, it goes like this, "Inflation is a thief that robs those who are improperly invested, and gives the money to those improperly invested." This would, of course, be referring to those who had the foresight to position their investments for its emergence. The same can be said about deflation, it mimics in reverse the process, also acting as a way to transfer wealth between parties. The problem is to timing and identifying the approach of these two strong economic forces. I have found the mindset of investors and of the "money people" often shifts into overdrive when opportunities for speculation arise. The distortion caused by easy money from Federal Reserve policy coupled with political and social compassion for affordable housing, medical care, has obvious implications as debt and promises continue to rise. Most economists agree the Central Banks are not in a position to tighten the money supply at this time because such a move would have a devastating effect on markets, this would filter down into pension funds and retirement schemes. Remember, so many of the things we invest in are merely promises and such, hard assets are rare. A word of caution, while hyperinflation does not occur that often when it hits the speed at which it can occur surprises and it is clearly a game changer. I continue to contend the primary reason that inflation has not raised its ugly head or become a major economic issue is because we are pouring such a large percentage of wealth into intangible products or goods. This includes currencies. If faith drops in these intangible "promises" which is the base of our financial system and money would suddenly flow into tangible goods seeking a safe haven inflation would soar. This theory will be explored more in part 2 of this three-part series.